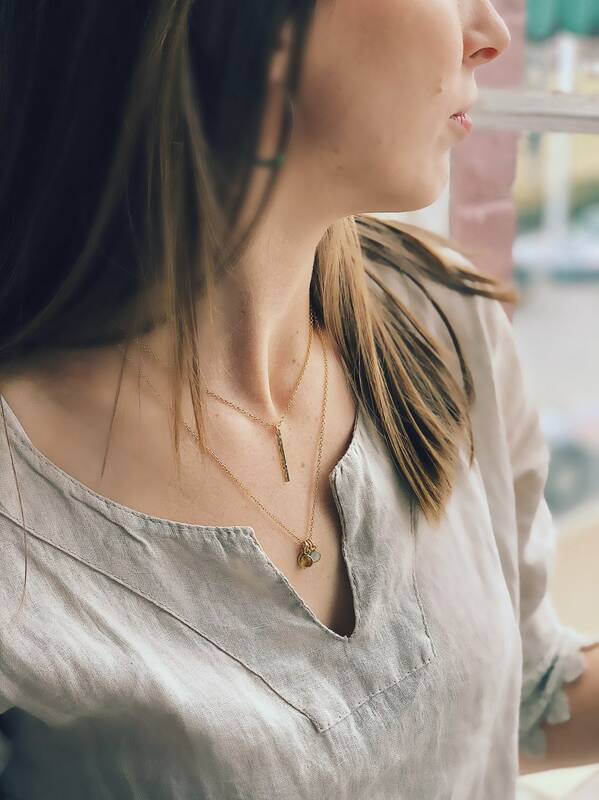 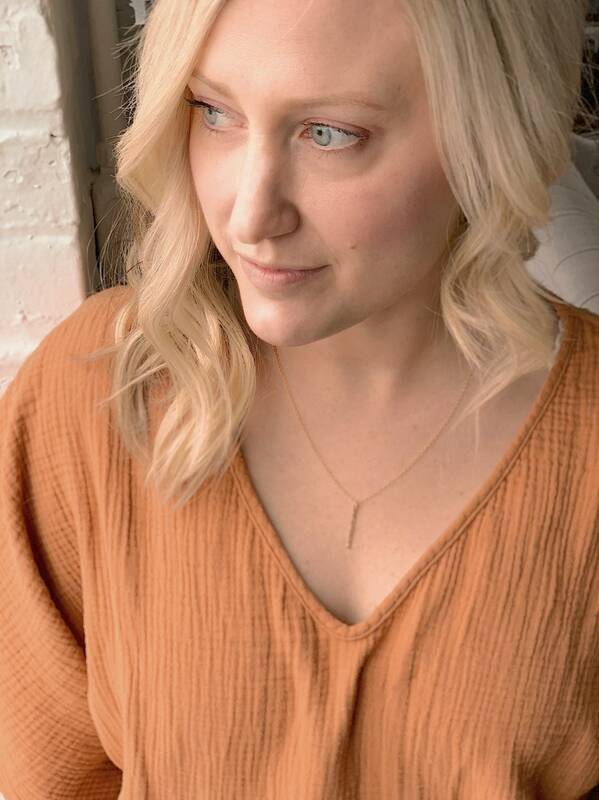 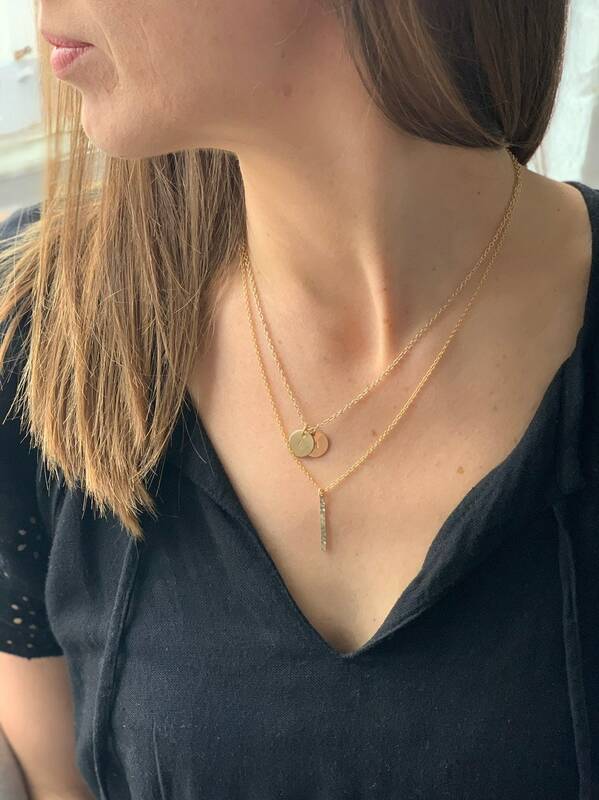 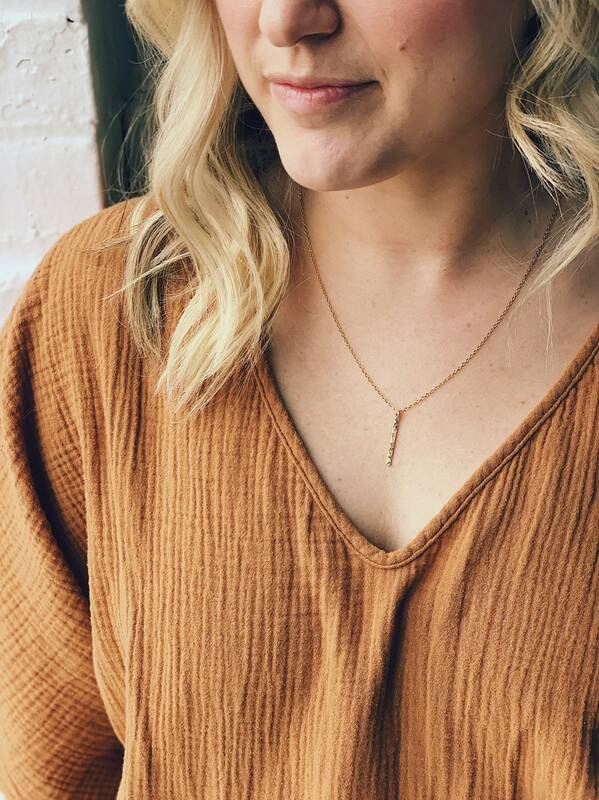 The Skinny Bar Necklace is simple and great for wearing alone or layering with other necklaces. 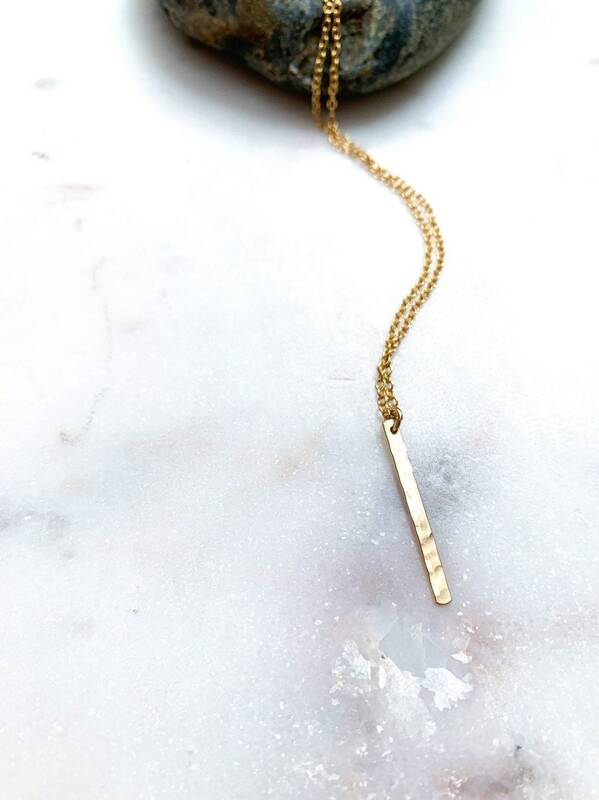 This hammered gold filled or sterling silver petite bar is the perfect everyday necklace. 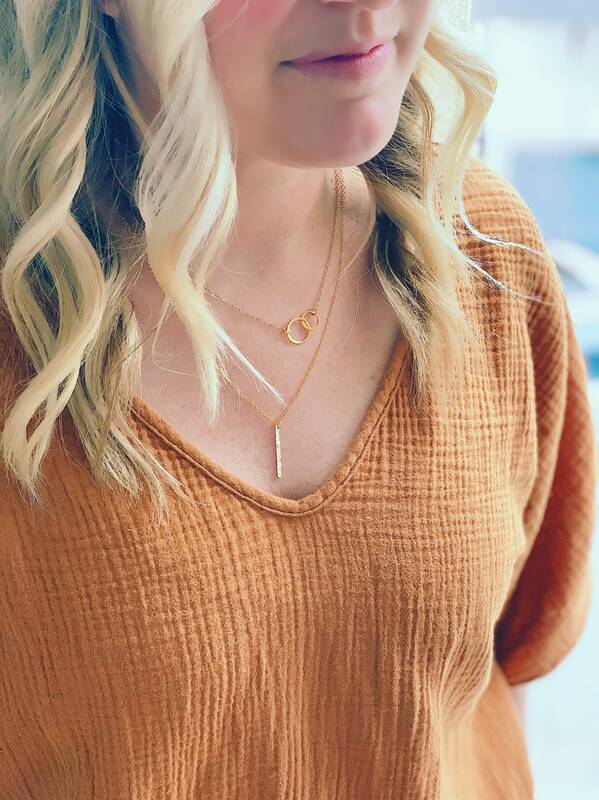 ►The model is wearing a 20" chain in pic 1, 2, and 3. 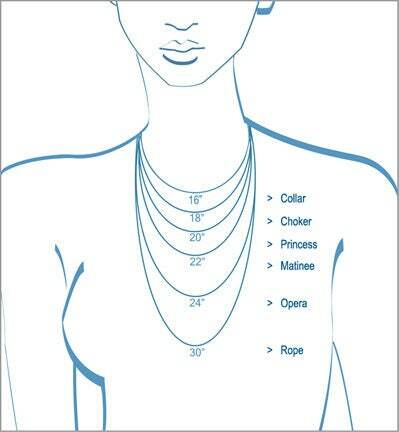 The Model is pic 4 is wearing a 16" chain. 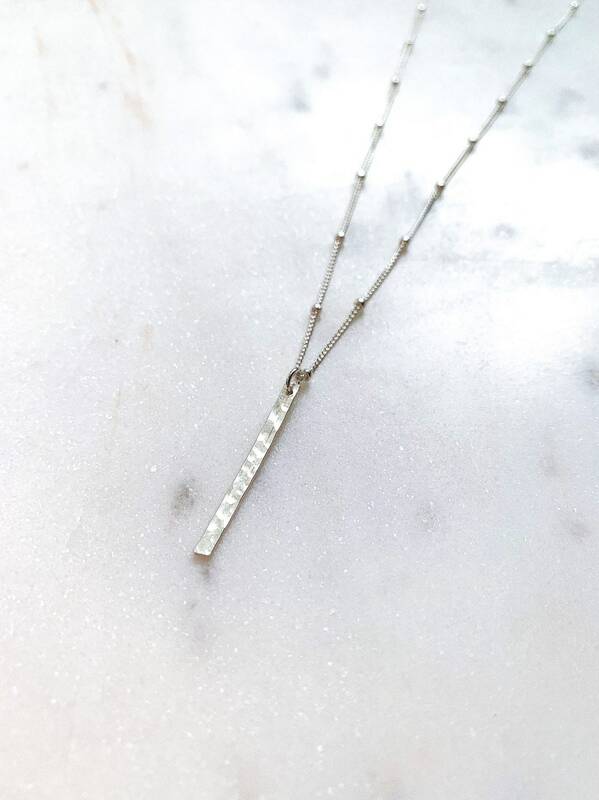 ►Silver bar is shown with a sterling silver satellite chain.